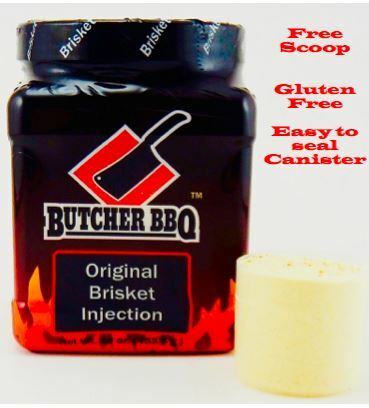 When folks want to take their smoked brisket to the next level they start using injections, The use of brisket injections make some barbecue “purists” cringe but if you want to bring home some cash at a KCBS competition then you better be injecting. 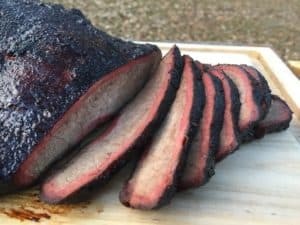 Injections help with two common problems encountered when smoking briskets. The long cooking process can often result in a dry brisket. The inside of a brisket can be bland in comparison to the highly seasoned bark on the surface. The problem of dry briskets can be partially solved by using Prime or Kobe beef but that solution is too expensive for many home cooks. The problem of a bland interior is extremely prevalent among cooks using pellet cookers or electric smokers where the smoke profile is not particularly strong. The MSG, disodium guanylate, disodium inosinate and beef extract work together to provide an enhanced beef flavor. 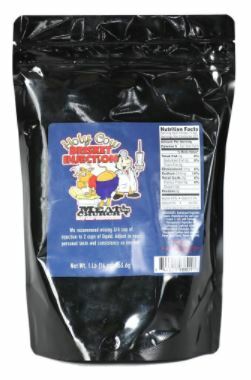 The hydrolyzed soy protein provides some depth to the flavor profile. Essentially what you are getting with this injection is moisture and intense beef flavors. Here is the injection recipe that is part of Myron Mixon’s brisket technique. While the two recipes above are excellent starting points most people who are serious about injections eventually switch over to commercial competition grade products. The two biggest differences between the commercial injections and the homemade recipes is the amount of hydrolyzed vegetable proteins and the use of phosphates. Hydrolyzed vegetable proteins are used to bring out latent taste characteristics, and generally round off and improve the flavor foods. Phosphates serve many complex functions in injections and they are not all well understood. Phosphates are used in many food products as an emulsifier to prevent the separation of fats. Phosphates are also used to greatly increase moisture retention. 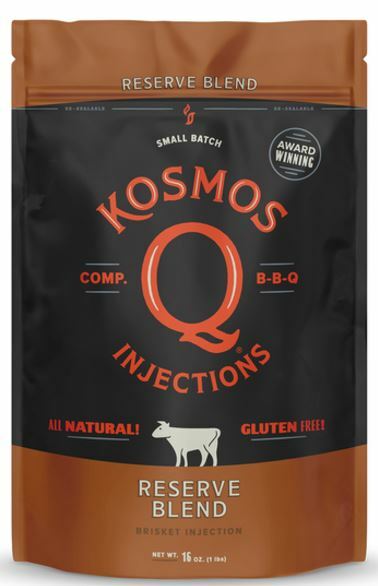 Here are some of the most successful competition brisket injections used on the KCBS circuit. All three of these commercial injections are great. I can’t tell you which one is best because that will really depend upon your cooking style and the flavor profiles you are shooting for with your rub and sauce. I would suggest you don’t overthink things…just buy one and tinker with it. I promise that any of these products will help you turn out a better brisket. Let’s try this instead…here is a nice video by Pitmaster David Bouska from Butcher BBQ that will walk you through the process. Here is a second video by the winningest man in barbecue, Myron Mixon. Myron and David have conflicting techniques. David injects AGAINST the grain for better distribution. Myron injects brisket WITH the grain to minimize streaking. Both of these guys are brisket masters and I don’t have a leg to stand on when it comes to telling you who has the better method. Both Myron and Dave would agree that after you inject you want to let the brisket rest for at least an hour before putting it on the pit. The resting period will give the injection time to evenly distribute throughout the brisket and allow the phosphates a little extra time to work their magic.